MicroLux® Tapping Fixture holds taps perfectly square to the base so threads are cut straight every time. The smooth turning spindle and large knob provide the "feel" of hand tapping needed to minimize breakage, and the cast iron base assures stability for extra control. Precision chuck holds taps with shanks 1/64" to 1/4" diameter. Clearance under chuck: adjustable up to 5-1/2". Distance from center of chuck to front of column: 4-3/4". 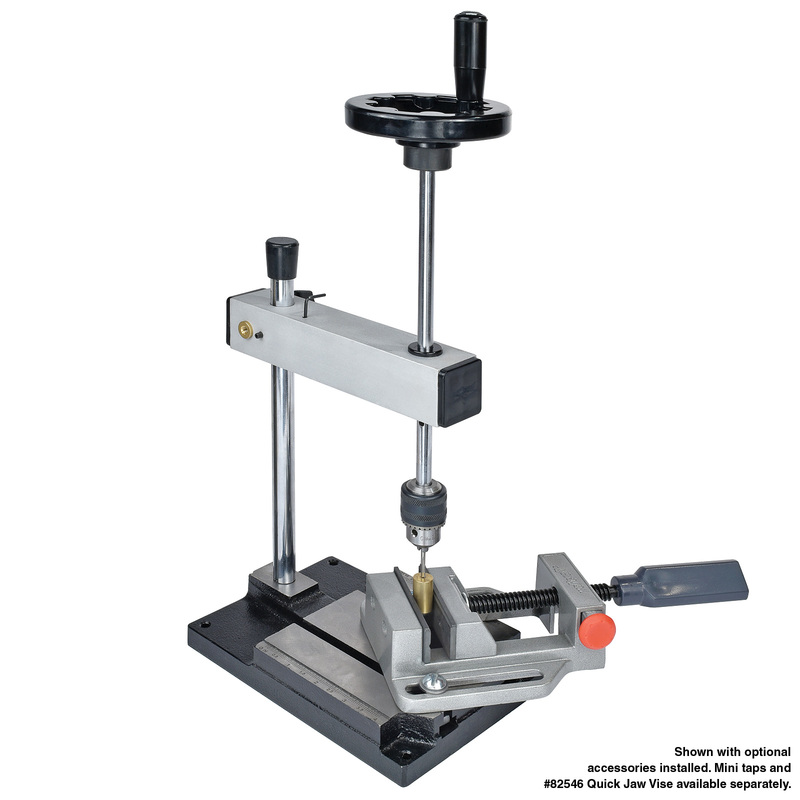 Base includes 5/16" T-slots for mounting vises (#82546 Quick-Jaw Vise, available separately) and clamps. Tapping fixture can also be used for hand-powered drilling and reaming, and is the perfect drill press for plastic. While similar in appearance to our previous model, new design features include increased chuck capacity, tighter tolerance bushings for higher precision and greater accuracy, more ergonomic tightening knob, secondary column locking system and on-board tool storage.